To become King of the Deep! 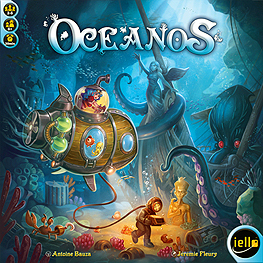 OCEANOS is a unique drafting game, with deep mechanics, where you discover and collect forgotten treasures in the ocean depths. But will your submarine be strong enough to bring your discoveries back to the surface? To find out, start your adventure!